Department of Electrical & Electronic Engineering. Dr. D. N. Uduwawala received his B.Sc.Eng. degree with first class honours from the University of Peradeniya, Sri Lanka in 1999. He received his Technical Licentiate and Ph.D. degrees in electromagnetic theory from the Royal Institute of Technology (KTH), Sweden in 2004 and 2006 respectively. At present he is a senior lecturer attached to the Dept. of Electrical and Electronic Engineering, University of Peradeniya. Dr. Uduwawala is a corporate member of the Institution of Engineers, Sri Lanka (IESL) and a senior member of the Institute of Electrical and Electronics Engineers (IEEE), USA. He has served the IEEE Microwave Theory and Techniques Society (MTT-s), Sri Lanka Chapter and IEEE Sri Lanka Central Region Subsection in various capacities and chaired MTT-s, Sri Lanka Chapter in 2014.He was the coordinator of the postgraduate program in Electrical and Electronic Engineering at the University of Peradeniya during 2007-2013. Currently, he has been serving as the Director of Electrical and Electronics workshop, University of Peradeniya. Dr. Uduwawala’s research areas include antennas and computational electrodynamics. He has been the co-author of numerous peer reviewed international journal and conference papers. He was a recipient of the Presidential awards for scientific research publications in 2010.He is an editorial board member of the International Journal of Practical Electronics (IJPE) since 2013. Further he is a reviewer of several international journals and conferences including IEEE Transactions on Geoscience and Remote Sensing, Journal of Electromagnetic Waves and Applications (JEMWA) and Progress in Electromagnetic Research (PIER). Chair, IEEE Microwave Theory and Techniques Society (MTT-s), Sri Lanka Chapter (2014). Editorial board member, International Journal of Practical Electronics (IJPE), 2013/2014. Publications Chair, 8th IEEE International Conference on Industrial and Information Systems (ICIIS) 2013. Treasurer, MTT-s, Sri Lanka Chapter (2011 and 2012). 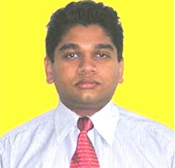 Treasurer, IEEE Sri Lanka Central region Subsection (2009). Charter, IESL (Institute of Engineers, Sri Lanka), April 2013. Certificate of Recognition, Presidential Awards for Research 2010 for Scientific Research evaluated by peers and published in the year 2004. Director, Electrical and Electronics workshop, Faculty of Engineering, University of Peradeniya (1 Oct. 2013 to date). Member of the Management Committee of Centre for Engineering Research and Postgraduate Studies (CERPS), University of Peradeniya (Since 2009). Coordinator, Postgraduate Program in Electrical and Electronic Engineering, Faculty of Engineering, University of Peradeniya, Sri Lanka (1 Oct. 2007 to 30 Sept. 2013). Graduate student at the Royal Institute of Technology (KTH), Stockholm, Sweden. (2001-2006). Lecturer(Probationary), Dept. of Electrical and Electronic Engineering, University of Peradeniya (2001-2006).